Red Johnson's Chronicles is an adventure puzzle game that may connect with fans of classic Lucas Arts titles. 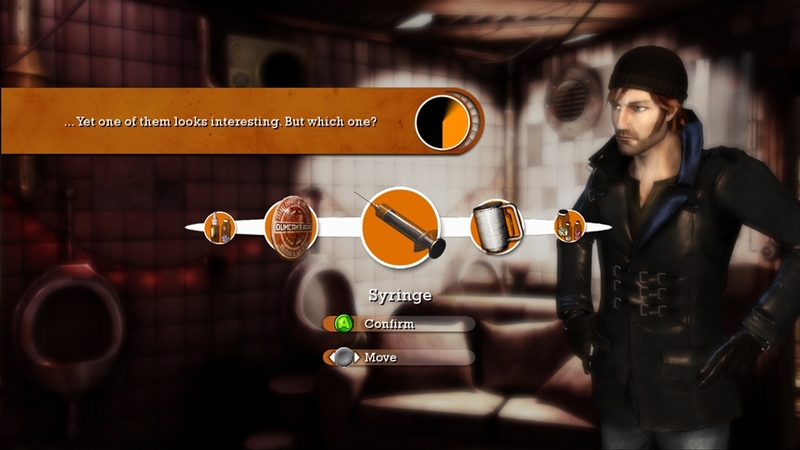 As as the private eye, you'll have to solve increasingly difficult puzzles, interrogate characters and sometimes fight or shoot in the form of QTE prompts. 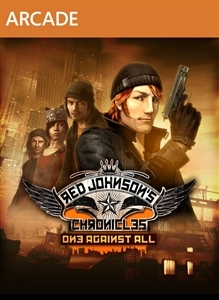 If you're looking for something different to play on XBLA, Red Johnson's Chronicles is worth taking a look at. The visual style of game goes great along with the tone that Chronicles bring. 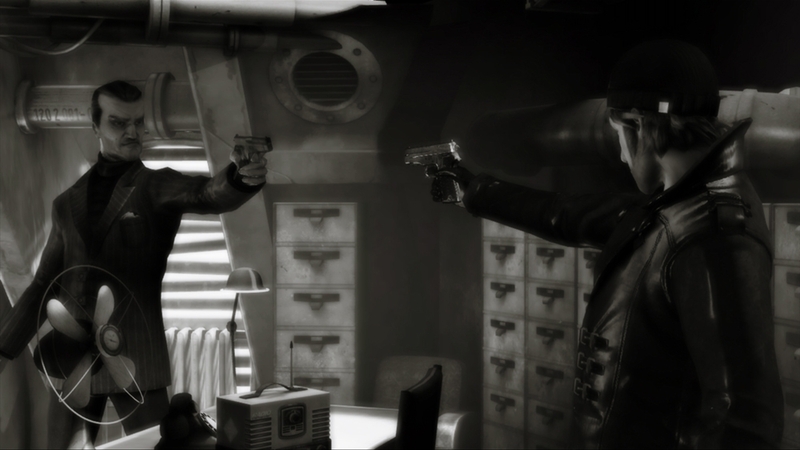 There are times where it's in black and white, similar to class Noir films, as well as times that display full color. From my time with the game, most non-interactive scenes take place in black and white, and playable sections get more color. 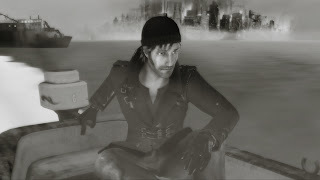 You'll spend most of the game either watching a scene or solving puzzles, but you'll need to pay careful attention no matter what is happening. The reason for this is because details given to you in cutscenes will be needed when approaching incoming puzzles and interactions. Chapters and sections in the game will give an overall score, usually based on how well you performed in the specific parts. Points are broken down and rewarded based on either your speed and accuracy, with certain achievements being tied to scoring 100%. Parts can be replayed too, so you'll be able to go back through and attempt to better your performance. The voice acting, characters, and audio effects are all pretty well too. Some characters have cheesy moments, but the story bounces between being serious and humorous in a good way. Puzzles in this game are pretty difficult at times, but you'll be able to get hints which help complete the puzzles, but will drastically reduce your rating at the end of the sections. 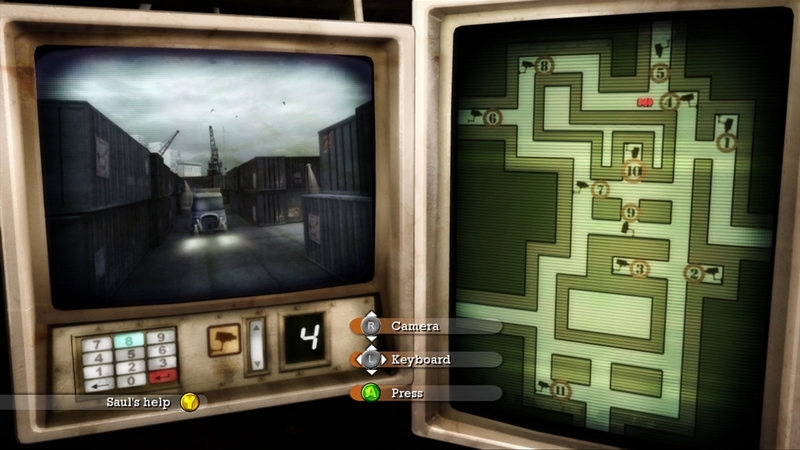 Later in the game they get varied around based on difficulty and types, so simply paying careful attention to the puzzles will help you prepare when you're ready to attempt to solve them. With an interesting story and a couple hours of gameplay to be had, Red Johnson's Chronicles may not be for everyone, but those that enjoy these types of titles will be right at home with the game. If you love adventure titles, $10 will get you a pretty neat game to play. "Get ready to solve a unique puzzle-based investigation that will immerse you in a noir world. Red Johnson, one of the best private investigators in Metropolis City has recently gained a fame that turns out to be deadly. A price on his head and a brother that has been abducted will force him to give the best of himself. To sort out this situation, you will need to use you wit, your persuasion skills and even your fists sometimes."